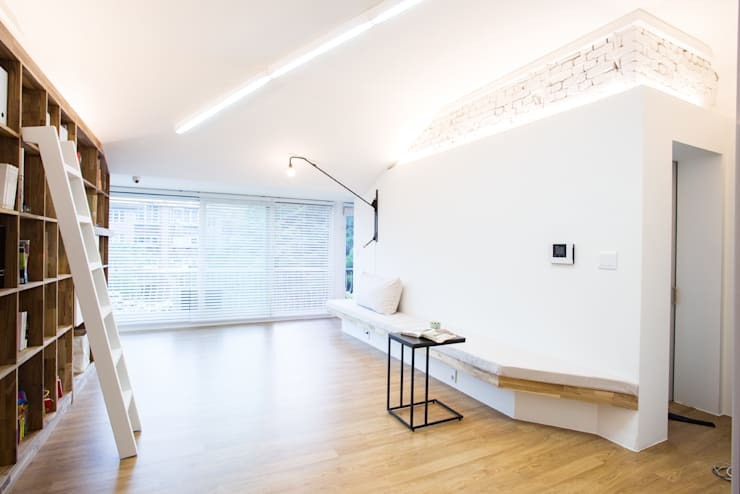 Bright ideas have opened up a new life for a small, 25-year old apartment in Seoul, Korea. 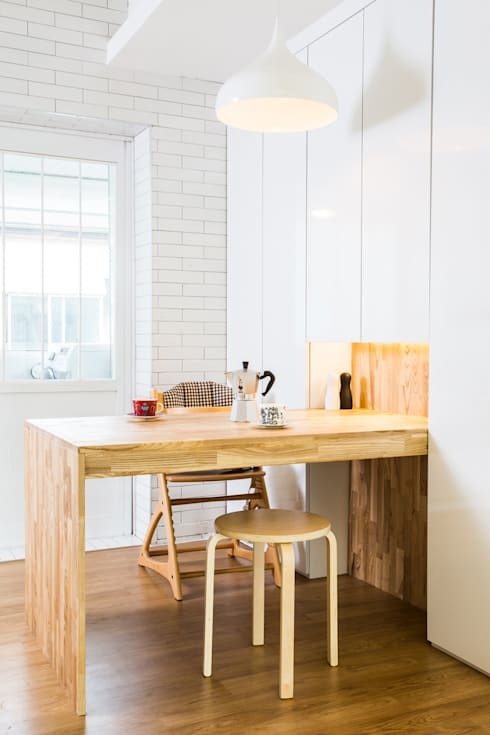 This airy transformation was brought to realisation by architect Lee Juyoung of G/O Architects for clients who dreamt of a versatile living and working environment to suit their young family's lifestyle. The resulting rework has provided the family with a flexible home comprised of a living room, eat-in kitchen, bathroom, en-suite master bedroom, kids room, and a small workspace—all packed into 85m2 and without ever feeling cramped. A bright white colour scheme flows throughout this home, creating harmony and giving the illusion of space, only giving way to calming splashes of mint and turquoise on the bathroom wall, balcony ceiling, and entrance door. 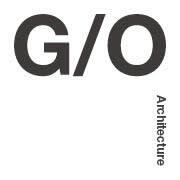 The home is furnished entirely with clean and modern pieces made of light ash with a mind on space and function. 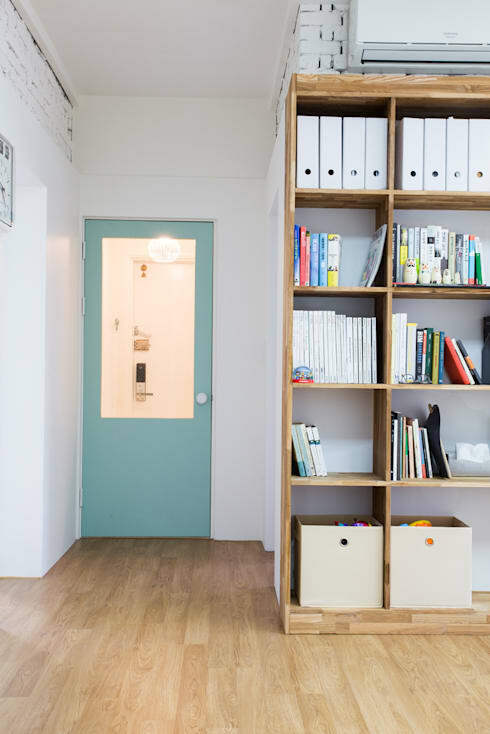 This clever little apartment just goes to show that good things really do come in small packages! The fresh and clean living room features a Korean-style couch along one wall, opposite the TV (which is cleverly hidden when not in use) and large bookshelves. The couch's streamlined design follows the shape of the wall, blending seamlessly into the architecture of the room and seemingly taking up no space at all. To optimise space the ceiling was extended, sloping gently up from the windows to take the height from 2.3m to 3.5m. Bricks between the original concrete wall and the new ceiling height have been left exposed, painted white, and highlighted with clever strip lighting. This modern touch adds a point of interest, but doesn't break up the flow of the room. One of the few splashes of colour featured in the house, the front door has been painted mint green. This shade is calming and welcoming, and green is considered to be a lucky colour by many Koreans—a sensible choice for the front door! The door opens up into the living area, with its main wall featuring an ash bookshelf. The owners wanted to make a lifestyle shift away from television to focus more on reading as a leisure activity, so ample room for displaying literature was a necessity. To create simplicity and space throughout the home old decorative features such as mouldings of doors and walls were removed, along with inefficient old cupboards. 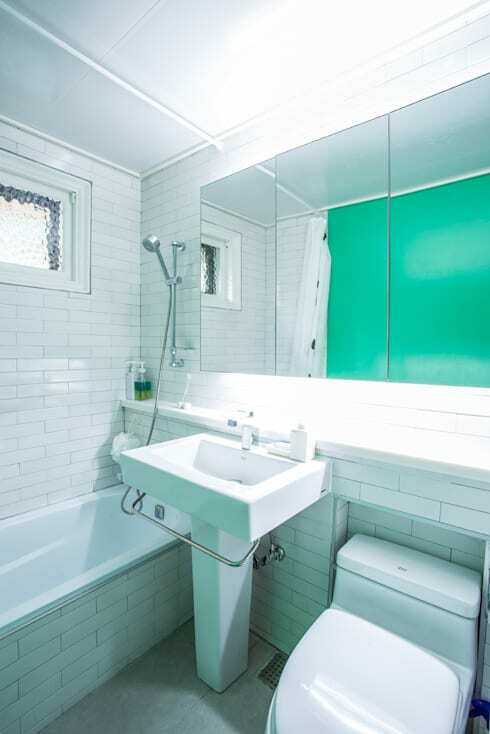 The bright white bathroom is given a lift with a turquoise feature wall. A juicy pop of colour does well to make a bathroom space feel extra fresh and clean. The combined shower and bath save space, while a large mirrored medicine cabinet provides a place to store essentials and makes the room seem bigger. Tiling is kept uniform throughout the apartment, with these thin subway tiles featuring in both the bathroom and kitchen and giving an additional sense of unity. In another of the apartment's colourful moments, the balcony ceiling is painted mint green, tying in with the front door. The green ties in nicely with that of the leaves on the tree that can be seen from the balcony, linking the inhabitants with nature even in the middle of the fast-paced city of Seoul. 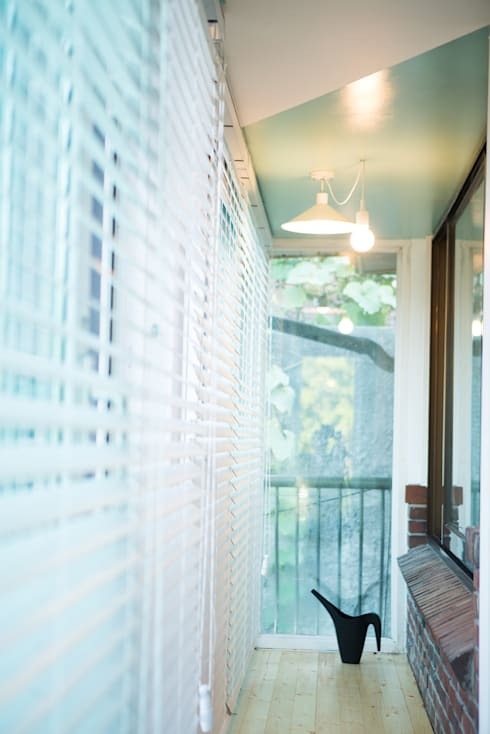 Venetian blinds in white offer the family privacy from surrounding buildings, while letting in the light that is so essential to the apartment's design. The kids room shows the same restraint and minimalism as the rest of the home, with clean storage solutions for toys and clothes. Pale wooden floors are featured throughout the home, and here are utilised as a place to play and imagine with the addition of comfortable floor cushions. To add an element of fun to the kid's room, while not overwhelming the home's minimalist design scheme, a fine multicoloured polka dot pattern is created on one wall. It's a subtle, but effective way to have a feature wall that doesn't go overboard. 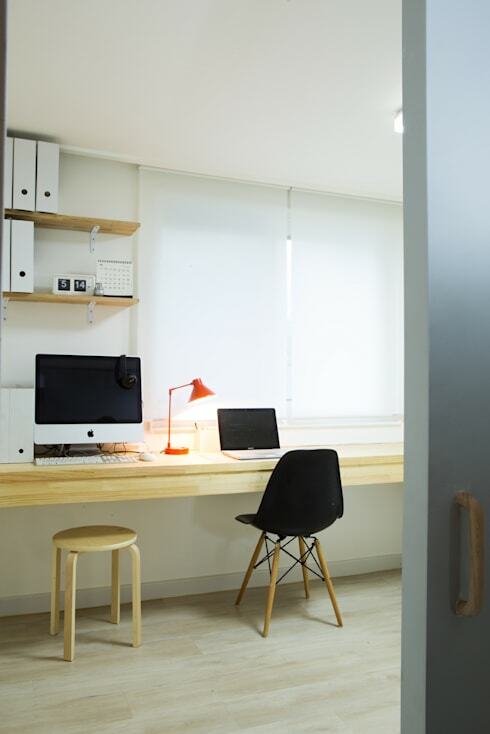 The owners of this apartment required a space to work from home. This was achieved with very minimal space on offer by building an ash workbench into the space instead of bringing in a standalone desk. Storage shelves were added in the empty space next to the window—there is truly room to use every space in a small apartment! The bedroom is a space that's all about comfort. A welcoming bed in the same light ash as the rest of the home's furniture beckons after a hard day. 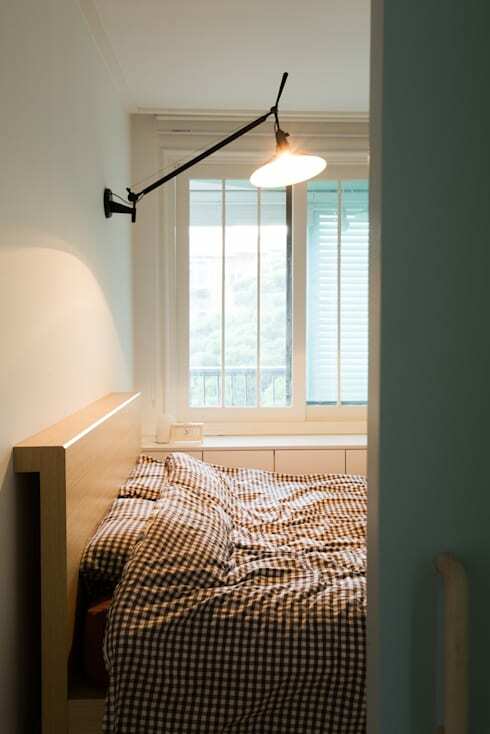 In the morning the couple wake up to natural light from the balcony outside, and in the evenings they can get lost in a novel by the light of a cleverly adjustable wall lamp. Floor to ceiling cabinets that give the impression of walls run the length of the hallway leading to the kitchen, maximising storage and creating an illusion of space. The design of the dining table slots perfectly into a cutout nook in the cabinets providing additional bench space for condiments and serving plates to fit into. It's tricks like this that make all the difference when making the most of a limited floor plan. A no-nonsense kitchen is essential to family life. 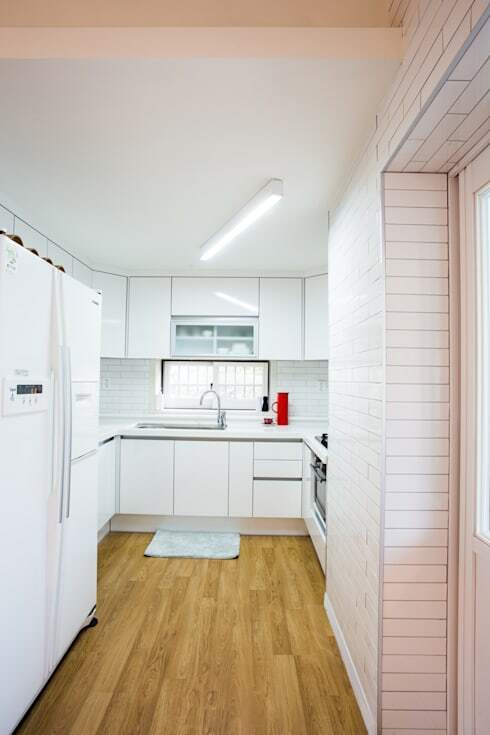 The white theme is continued into this space, with the white subway tiles on the walls and backsplash giving the cleanliness a kitchen needs. Ample bench space wraps around the kitchen for easy food prep, and above and below the benches there's plenty of storage space for equipment, crockery, and food. Are you hungry for more small apartment inspiration? Browse the great ideas of Decorating a small apartment. What do you think of this beautiful bright home? Let us know in the comments below!